A very small sabani a type of semi-dugout once used for fishing in Okinawa. Photo by Mr. Hiroyuki Asato. Boatbuilder first, then writer & researcher is how Douglas Brooks describes himself in a self-effacing modest kind of way, however, his commitment to the curation and continuation of the ancient but fast-disappearing craft of Japanese boatbuilding is far from moderate, his achievements to date are so much more than mediocre and his ambition to achieve a Japanese boatbuilding institution is massive, fuelled by a monumental passion for this ancient craft. Douglas Brooks has dedicated himself to documenting never-before-recorded annals of apprenticeships, condensing centuries of ‘stolen lessons’ and hard-earned secrets into a cohesive curation of design, material and technique in order for future generations to be able to appreciate the mastery and aesthetics of a wooden hand-built boat that is a world away from the mediocrity of modern fibreglass vessels. 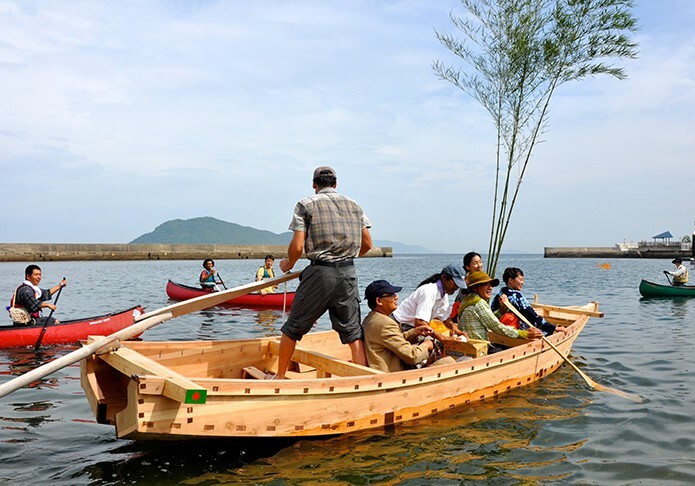 An ashitenma, a type of small fishing boat from the Inland Sea, built by Douglas Brooks in the Setouchi Arts Festival in 2013. Photo by Simon Wearne. Here we are privileged to be given an insight into the unique world of Anglo-American-Japanese cultures that Douglas Brooks seamlessly crosses and co-exists within in what has become a life-changing vocation to preserve and perpetuate the skills of traditional wooden boatbuilding in Japan. Douglas Brooks fits the two side planks of a bekabune under the watchful eyes of his teacher Mr. Nobuji Udagawa. 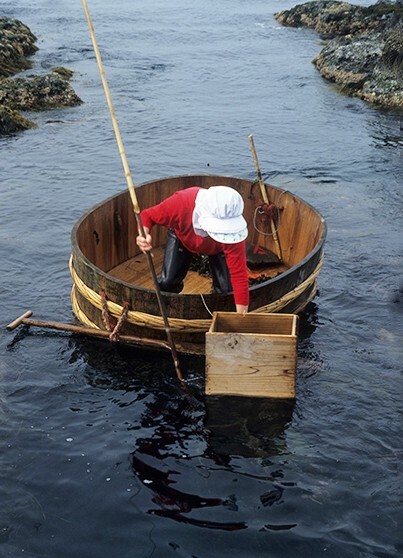 The two built one of these traditional seaweed gathering boats at the Urayasu Museum in 2001. Udagawa built over 300 of these boats during his career. Photograph courtesy KAZI publications, Yokohama, Japan. 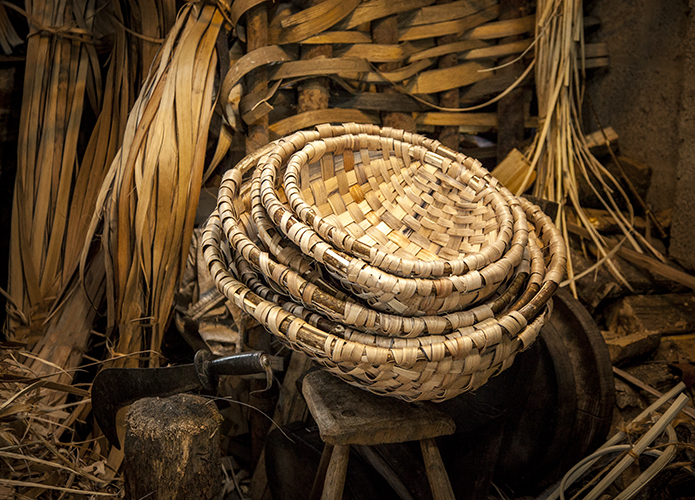 Ethnographer, anthropologist, curator, boat-builder… Sometimes apprentice, sometimes master… Please can you outline how you would describe yourself to the reader? First of all, I would never use the term master for myself. One of the things my experiences in Japan have taught me is the incredible devotion and seriousness craftspeople bring to their work. It’s not “what they do” so much as a calling, or a discipline. In the Japanese context one cannot really call themselves a master until their teacher has passed away. I think the idea of any craftsperson under the age of 60 referring to themselves this way would be considered strange. I consider myself a boatbuilder, writer and researcher. Basically, that is the order in which my career developed. I realised immediately in Japan that my background building boats gave me a unique perspective on the craft that no other researchers possessed. My research explores a very particular niche: documenting the craft and how the objects are made. 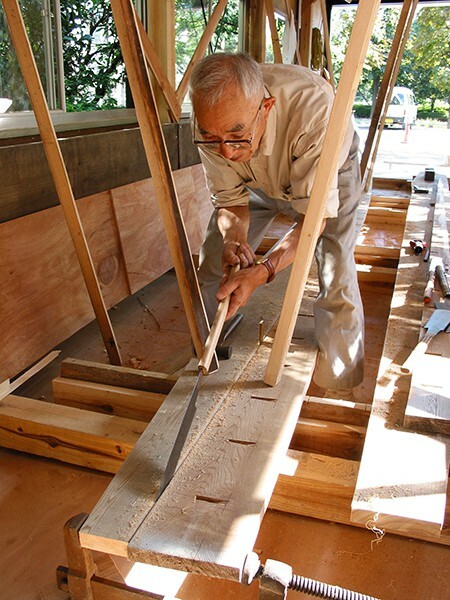 Brooks fitting the garboard plank by sawing through the seam while building the shimaihagi, a fishing boat from Aomori Prefecture, that he built in 2003 with his teacher Mr. Seizo Ando. Photo by Catherine Wood Brooks. Yours is a truly amazing story, can you explain to us a little of your background, in terms of how hailing from the US Eastern seaboard, with its obvious maritime traditions, along with a chance friendship with a Japanese room-mate, has led to a life-changing fascination with Japanese boatbuilding? I was raised in Deep River, Connecticut and my father always had a small fishing boat so I was on the water from an early age. I drifted away from fishing but loved boats, and eventually got into sailing and bought myself a small sailboat while in high school. While at Trinity College I attended the Williams College Mystic Seaport Program in American Maritime Studies (now just called Williams Mystic). Mystic Seaport is North America’s largest maritime museum and while there I got to do an internship with the museum’s boatbuilder. I helped him build a small skiff and do some other repair work. It was just a taste of boatbuilding but it definitely intrigued me. The next year I attended the University of Oregon where my roommate Nobu Hayashi was from Japan. We became close friends and in the years after college he kept inviting me to visit his native country. I eventually found work in the Small Boat Shop of the maritime museum in San Francisco and spent five years there getting more immersed in building and curating traditional boats. 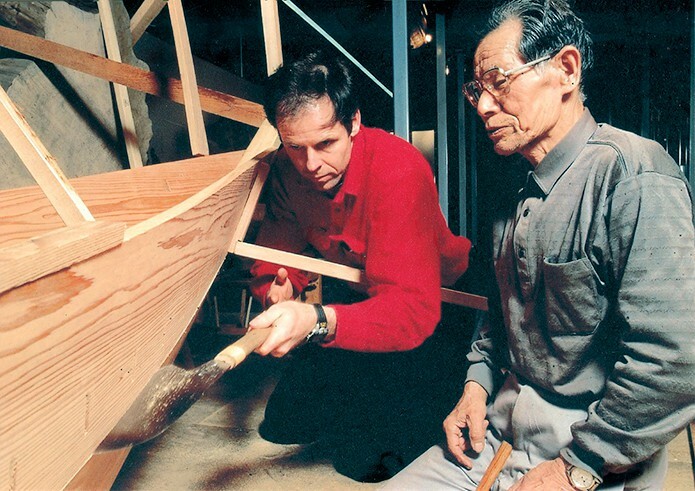 When I left that job in 1990 Nobu immediately sent me a plane ticket to Japan with a note that said, simply, “Now you have no excuses.” On that first trip, I met several boatbuilders, including the man who would become my first teacher six years later. I began to get an inkling of the crisis in the craft: all the boatbuilders were elderly and none had taught apprentices. Very little was written down and the craft depended entirely on the apprentice system for its survival. I saw immediately how the work of these amazing craftsmen deserved to be preserved somehow, and eventually that led to studying directly with boatbuilders in order to document their design secrets and techniques. 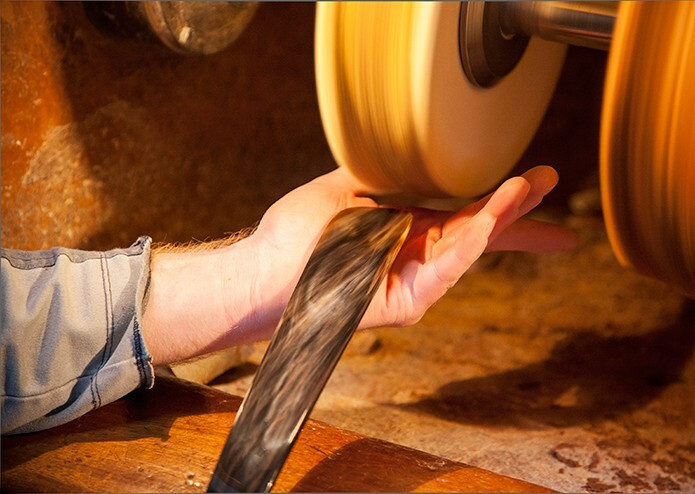 Brooks’ teacher in Tokyo, Mr. Kazuyoshi Fujiwara, runs a saw through a seam to fit two planks together. Brooks studied with Fujiwara in 2002. What distinguishes Japanese wooden boatbuilding from your other areas of expertise; Anglo & American boatbuilding, in terms of tools, craft technique, materials used, etc? In a broad sense, Western boats are based on a framework that is then planked, a skeleton-like arrangement. Japanese boats tend to have very little framing, relying instead on much thicker planks which are edge-fastened to each other, something called shell-type construction. Japanese boats are also almost always hard chine, meaning the strakes of the hull meet at angles, or knuckles. There are really no round-hulled, smooth planked traditional boats in Japan, except for dugouts. The greatest similarities between Western and Japanese boats can be found in the dugout and semi-dugout varieties. 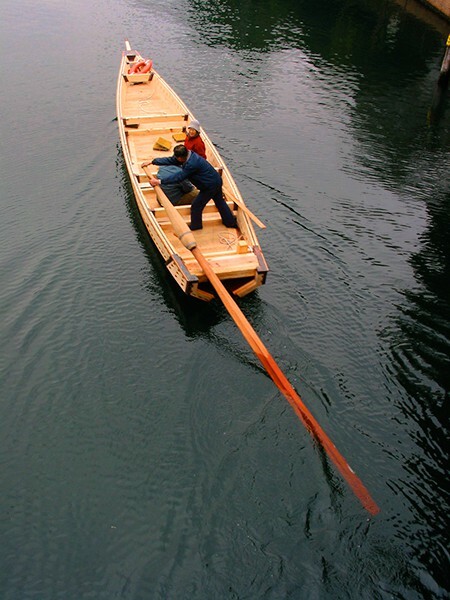 In most Western boats seams are made watertight with cotton caulking, but in Japan a very sophisticated technique is used to made plank seams watertight without caulking. A series of ever finer saws is run though the seams in a very particular way, and with each pass the seam fits tighter and tighter. The technique is called suriawase, and a good translation is “to reconcile.” It takes quite a bit of practice to master. 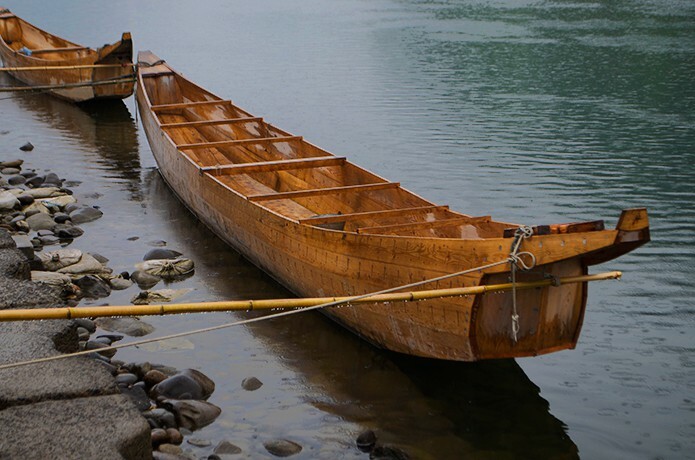 Japanese do caulk boats, using the inner bark of the cypress tree, but this is reserved for older boats whose seams have opened up, and the caulking is driven from the inside. A scow schooner yawl boat, built by Douglas Brooks while working at the National Maritime Museum in San Francisco. Western apprentices in traditional crafts in Japan are extremely rare; can you outline to us what are the main distinctions, would you say, between a Western & Japanese apprenticeship, beyond the obvious linguistic differences? Interesting you end your question with the mention of linguistics, because I think the salient difference between Western and Japanese notion of apprenticeship is that there is no teaching in the latter. All six of my teachers told me on my first day there would be absolutely no speaking in the workshop. Questions were sometimes tolerated though my teachers’ irritation at being interrupted was palpable. If I did ask a question the answer was generally either mite wakaru or matte wakaru: “Watch and you will understand” or “Wait and you will understand.” Ironically, the lack of speaking meant that language was not an obstacle in my apprenticeships. Though my Japanese has improved steadily over the years, I barely spoke the language at all at the time of my first apprenticeship, but this didn’t matter, because my teacher did not speak to me! The upshot of this kind of training is the apprentice is expected to learn by observation only. 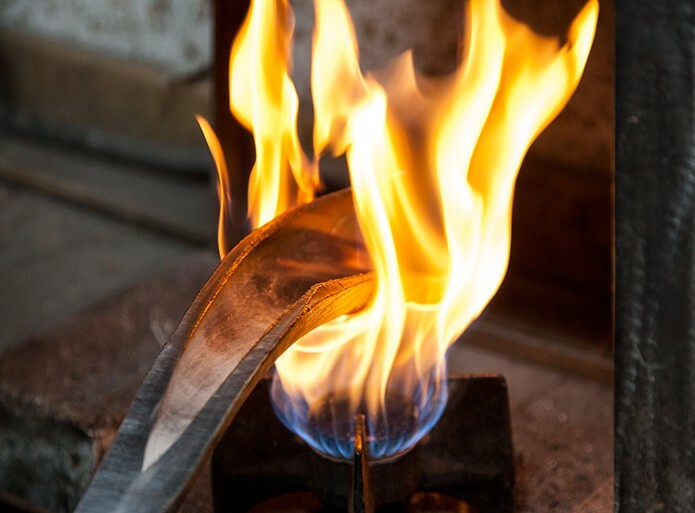 This puts incredible pressure on the apprentice, needless to say, but these pressures are also considered an essential part of the training. What becomes clear is the apprentice is fully responsible for his or her learning. While my teachers accepted the premise of my work, they felt no responsibility whatsoever for making sure I understood everything; that was my problem. It is very much a values-based style of learning, first inculcating humility (all my teachers told me my previous boatbuilding experience meant nothing), and then forcing the apprentice to develop a laser-like focus on the work. All of my teachers pointed to the broom my first day, and all I did at the outset was sweep, fetch tools, and move material. After a certain interval, I would be asked to work on the boat, but the understanding was that if I didn’t perform the work perfectly I was going back to sweeping. It’s a style of learning that provides a lot of motivation. 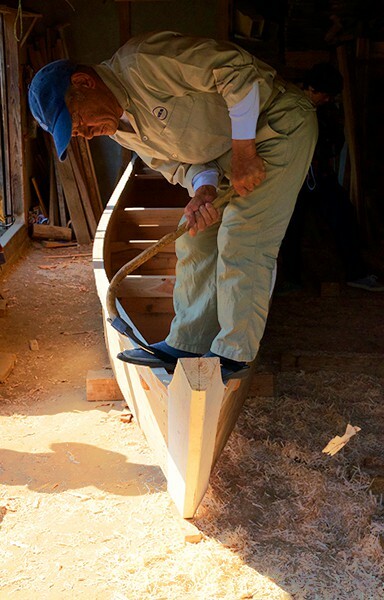 Mr. Hiroshi Murakami adzing the back of the stem of an isobune, or inshore fishing boat, during the author’s apprenticeship with him in 2015. 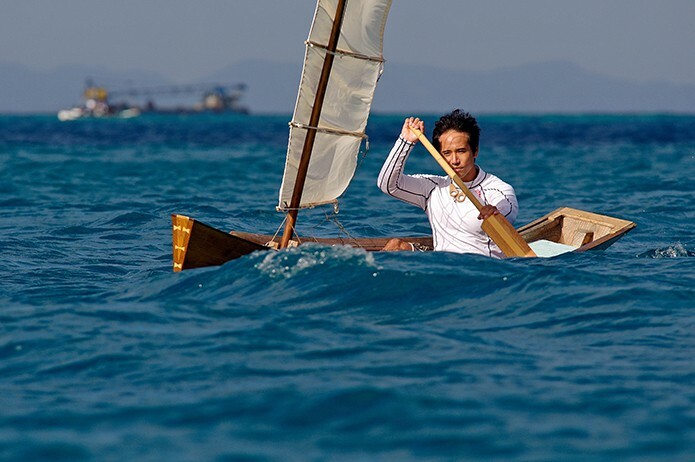 Murakami is the last active boatbuilder in the region devastated by the 2011 tsunami. The isobune is the most common type of small fishing boat in the region, hundreds of which were destroyed in the disaster. Brooks is currently working on a book documenting the design and construction of these boats. It is well known that it is a great honour and achievement to be accepted as an apprentice to a Japanese master, can you shed any light on how you have managed to become an apprentice to not one but six different masters over the years, with a seventh apprenticeship planned shortly? For the most part it was because I developed relationships with my teachers. I met my first teacher in 1990, then I saw him again, interviewing him with the help of an interpreter in 1992 and 1994. At the end of the third visit his invited me to become his apprentice. He told some mutual friends that I showed perseverance and commitment and this convinced him to take me on. The process was much the same with my second teacher. Some of my other apprenticeships were arranged by intermediaries. I think all of my teachers supported the idea of my research. They certainly understood the precarious state of their craft better than anyone. I was the only person to come along expressing an interest in their work, and to varying degrees each of my teachers saw me as the only chance they had to pass along that knowledge. In addition, I have travelled to forty-five of Japan’s forty-seven prefectures meeting and interviewing almost sixty boatbuilders. The launch of the chokkibune, an Edo-era water taxi built by Douglas Brooks and his teacher, Kazuyoshi Fujiwara, in Tokyo in 2003. 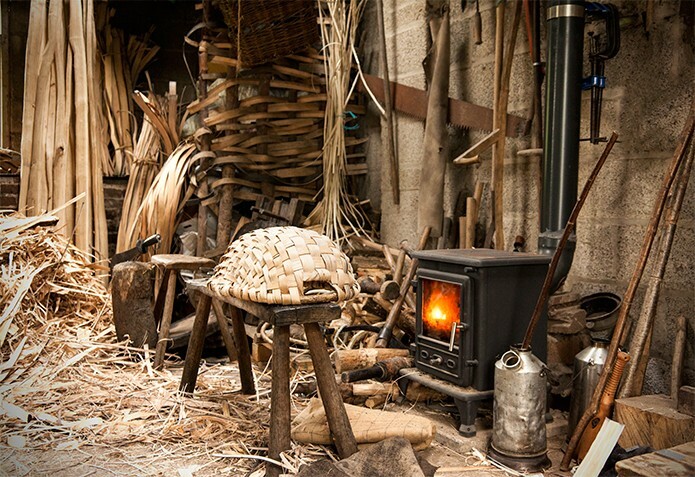 Part of your aim is to document what is historically an oral tradition in order to preserve and retain traditional Japanese boatbuilding design & techniques. How does this work when a major part of Japanese craftsmanship is the culture of secrecy and almost the ‘stealth’ of knowledge and expertise from the master by the apprentice? There is a well-known phrase in Japanese crafts called nusumi geiko, or “stolen lessons.” If the apprentice was not a family member often the master would withhold critical information from them. It was up to the apprentice through guile to steal those secrets. My first teacher told me he used to sneak into his master’s workshop at night with a candle and study his layout. He eventually figured out the critical dimensions of the boat, and also discovered his master had been snapping meaningless lines in an attempt to fool him! Also, where boat drawings do exist almost all are incomplete; you cannot build a boat from them. The missing information was memorised by the builder. A copy of a plank drawing. While the profile view is complete, the plan view is missing lines showing the chine and sheer, rendering the drawing useless. The missing information would be memorised by the builder. One of my teachers would make patterns when building a boat but he burned them at the end of the project. In some ways, I came along at just the right time. My teachers were in their seventies and eighties when I met then and most had been put out of business by fibreglass boats. They had come to a point where they understood the craft was about to disappear and there was really no longer an incentive to keep secrets. That said, some of my teachers still remained close-lipped, not revealing certain secrets to me, and I had to figure these things out for myself. At one boat launching my teacher said, “Mr. 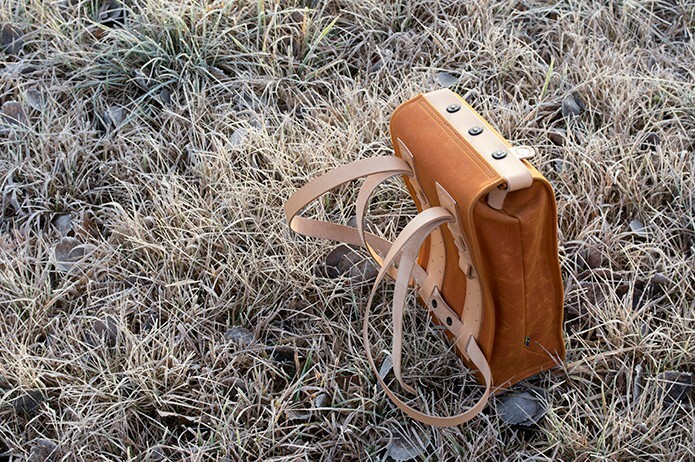 Brooks understood 95% of what I did, but I am not going to tell him what the 5% was he did not understand.” While this attitude may rankle Westerners, it is really something embedded in Japanese crafts. A shimaihagi fishing boat built by Brooks and his teacher Mr. Seizo Ando in 2003. This type of boat was used on the far northern coastline of the main island of Japan in Aomori Prefecture. Most of the regions’s wooden boats feature elaborate carvings decorating their hulls. How did your Masters feel about you recording their ‘secrets’? In all but one case I really had no problems. As mentioned before most of my teachers understood fundamentally what I was trying to accomplish. What varied was how hard or easy they were going to make it for me. One teacher exploded when I tried to trace one of his patterns. He said I was stealing his secrets. When I said my goal had been clear at the outset of the project that I was going to be recording his work for publication he said he understood. It turned out he was absolutely opposed to his secrets being revealed locally, even though he was the last boatbuilder of the region and all the wooden fishing boats were rotting away in boathouses. Oddly, after this altercation he restated that I was not to trace his pattern. Then he ordered me to clean the shop and close up. He walked out and of course I promptly traced the pattern. I don’t know how he could have thought I wouldn’t, but maybe this was a kind of kabuki, where he felt compelled to state his position regardless of what I might do. 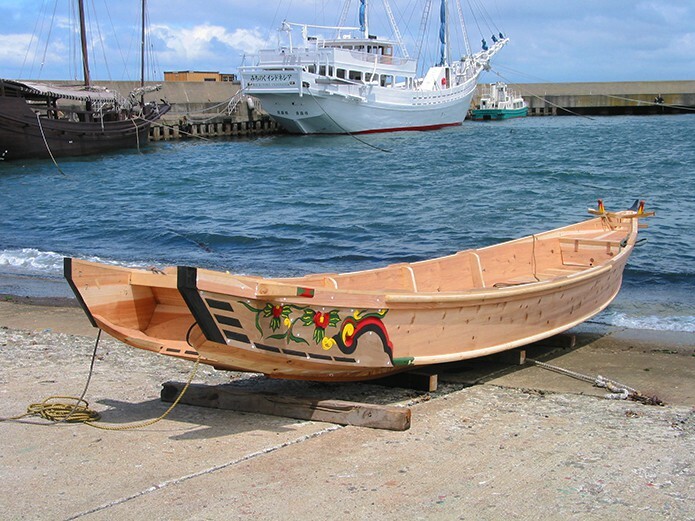 A bekabune, or seaweed gathering boat, built by Douglas Brooks and Mr. Nobuji Udagawa in 2001. 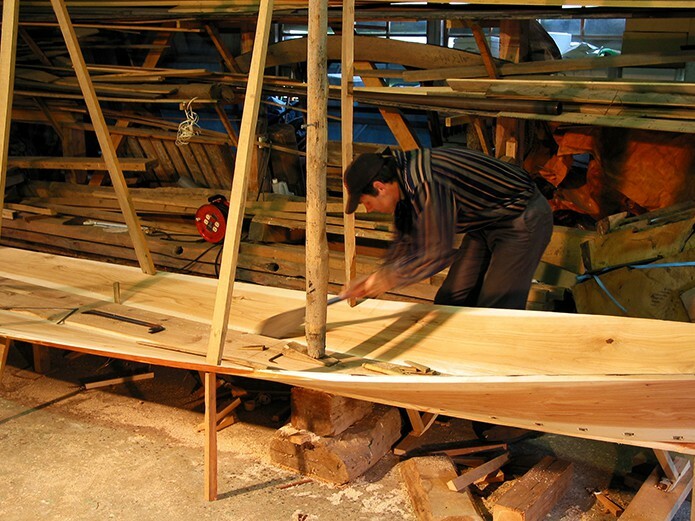 Japanese boatbuilders don’t use clamps, preferring to hold parts in place and bending planking using props. The line of mortises visible in a sheer (upper) plank are for the edge-nails that join the upper and lower plank together. Your dedication & passion for Japanese wooden boatbuilding has not gone unnoticed; you are a highly-respected author, teacher, lecturer & project leader, with achievements such as the Anderson Garden project and honours such as the Rare Craft Fellowship Award from the American Craft Council to your name… What would you say is your proudest achievement/most important moment so far and upon retirement, and what sort of legacy in the craft-world would you like to leave behind? I find writing and teaching very rewarding. At this point, Japan’s boatbuilders are rapidly disappearing, and the opportunity to work with the last generation of traditional boatbuilders simply won’t exist in five years, ten at the most. I want to transition my own work to finding ways to disseminate what I have learned, through how-to books, workshops, lectures, etc. I’ve done three boatbuilding projects in Japan where I brought in apprentices, and in 2015 and 2016 I taught a course in Japanese boatbuilding at Middlebury College in Middlebury, Vermont. 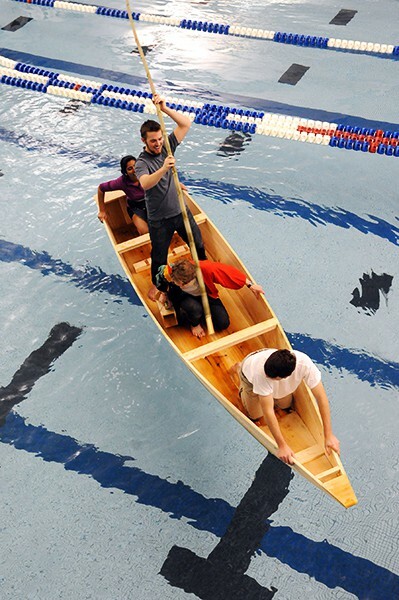 Middlebury College students in the boat they built in a 2015 Winter Term class taught by Brooks. The boat is a type of river fishing boat from the Hozugawa River near Kyoto. Fifteen students built this boat and another river boat in one month. Photograph by Trent Campbell. The key is to give a new generation of craftsmen the means to build these amazing boats. Sadly, the apprentice system is not the answer. It simply takes too long, though I have been thinking very seriously about a boatbuilding school, the model of how the revival of Western boatbuilding has been energised and sustained. Ultimately, if I can make a contribution to preserving these remarkable skills I will have done a small part in repaying my teachers’ amazing generosity. 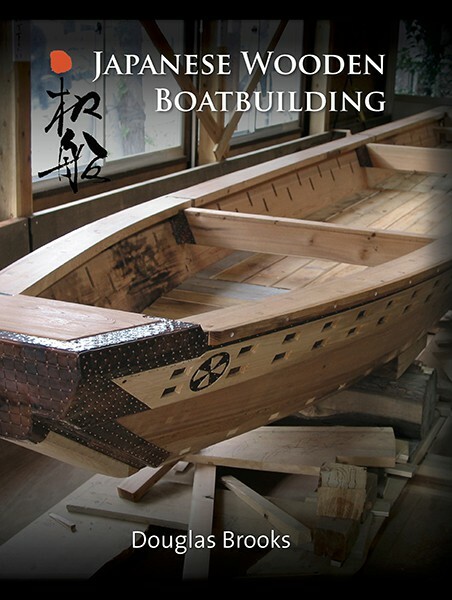 Japanese Wooden Boatbuilding, Douglas Brooks’ fourth book. This book chronicles the first five of Brooks’ apprenticeships, and is the first comprehensive survey of the craft. Signed and inscribed copies are available from the author at www.douglasbrooksboatbuilding.com. 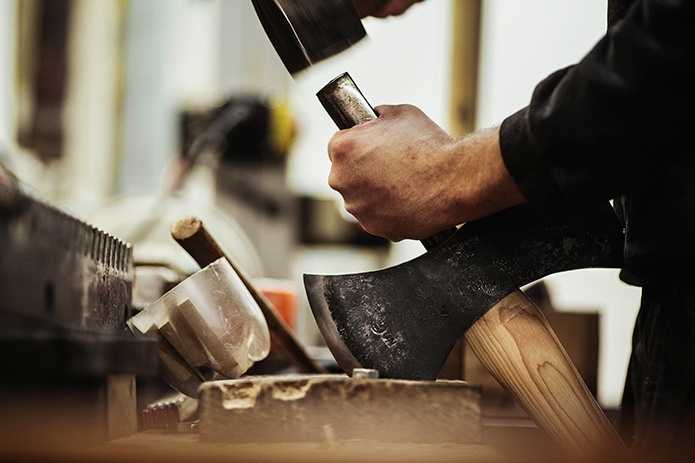 For anyone considering becoming an apprentice in a traditional Japanese craft, are you able to provide any advice? First, to clarify, I worked with my teachers over the course of building one boat (two in the case of my Tokyo teacher). That time frame varied from two weeks to seven months. The average boatbuilding apprenticeship in Japan lasted six years, but one must remember the apprentice came in at age 14 or 15 with no skills whatsoever. It’s not an efficient system; apprentices might spend two to three years before they ever did any significant work other than cleaning and sharpening. Some boatbuilders have told me they spent the first year of their apprenticeships helping their master’s wife in the kitchen. Despite what my teachers said about my previous experience being of no use to me, they were wrong. I knew how to sharpen and use the tools, and as time went on I understood the design and techniques of Japanese boatbuilding. I am contacted fairly regularly by people who find my website and express an interest in apprenticing in Japan. What I tell them is they need to go to Japan, find a potential teacher and then demonstrate their willingness to do what it takes to learn the craft. Other Westerners I’ve met who have studied Japanese crafts tell stories not dissimilar from my own. The culture of Japanese crafts demands a total commitment, and people have to prove they are serious. A yuta, or shaman, presides over the launching of an eight metre sabani built by Brooks and his teacher Mr. Ryujin Shimojo, visible at right. Photo by Sgt. Emery Ruffin, USMC. That said in some ways there couldn’t be a better time to study the crafts, because so many masters are elderly and want apprentices. It’s very bittersweet for me, because the apprentice system, while brutal in some regards, nevertheless turned out craftspeople of incomparable skills. The problem is in today’s world you are not likely to find many people willing to work years for little or no pay. The chokkibune being sculled in a canal in Tokyo. The Japanese ro, or sculling oar, is similar to the Chinese yuloh. You have written extensively on the subject of traditional Japanese boatbuilding. Who are the books aimed at, and what could a reader expect to glean from them? My first three books are strict how-to manuals on particular boats. The first book, on how to build the tub boat of Sado Island, became a textbook used in a series of tub boat making workshops on Sado. Eventually several dozen people made tub boats and now one of them is making them professionally again. My fourth book, Japanese Wooden Boatbuilding, is the story of my first five apprenticeships and is the most comprehensive survey published of the craft. I hope it gives a generous overview to the reader. I am right now working again on another how-to book – the 21-foot fishing boat from the tsunami zone – and my goal is to give a competent woodworker enough information to build this boat for themselves. This is where I would like to keep going with my writing. One dream would be to publish a book entitled Ten Japanese Boats You Can Build. 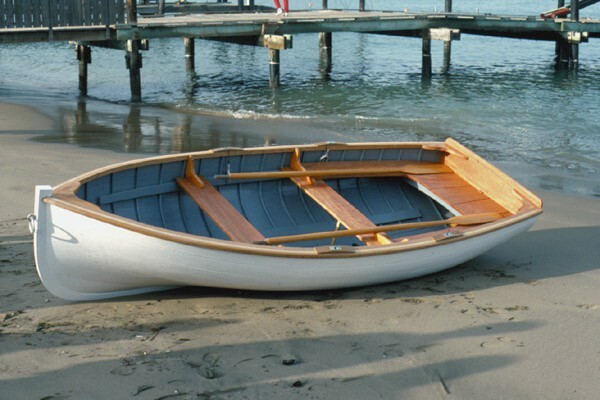 With the collapse of the traditional apprentice system and the disappearance of craftspeople we have to find a way to give people the ability to build these boats. A woman spearing shellfish from a taraibune, or tub boat, on Sado Island. These boats are still used in six fishing villages on Sado Island in the Sea of Japan. Primarily used by women, they traditionally provided a cheap, durable second boat for fishing families. As a result they were mainly used by women. Brooks apprenticed with the last builder of these boats in his first apprenticeship in 1996, and his first book documented how these boats are built. Given the rise of modern fibreglass boat in recent decades, why do you think traditional wooden boats are still relevant in the modern world? It’s a craft, one with a fascinating history. Like any craft, people derive enormous pleasure and satisfaction from the work. There is something inherently enriching about pursuing mastery, and seeing the tangible results of one’s work is extraordinarily fulfilling. Traditional boats reflect rich and varied histories and aesthetics, and their use encompasses a different kind of journey, no less enriching. Douglas Brooks and Seichi Nasu pose in front of a rice field boat Nasu built. What is the main difference between sailing a traditional Japanese vessel compared to the more familiar Western wooden sailing boats? The only sailing vessel I built in Japan was the sabani of Okinawa. The sabani is an extraordinarily difficult boat to sail, and I have almost no experience at it. Otherwise all the boats I’ve studied were powered by paddle or sculling oar. The latter comes from China and is a large and powerful way to move a boat versus Western oars. 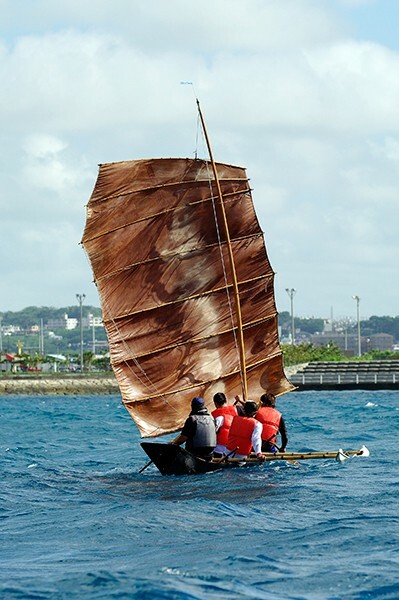 An Okinawan sabani sailing. These boats have enjoyed a revival in Okinawa, and race throughout the year. Photograph by Hiroyuki Asato. 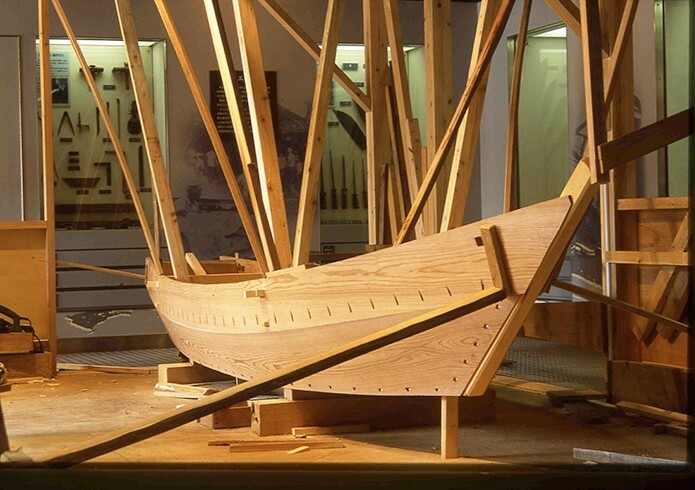 Where do you see your journey within the craft of traditional Japanese boatbuilding going next? 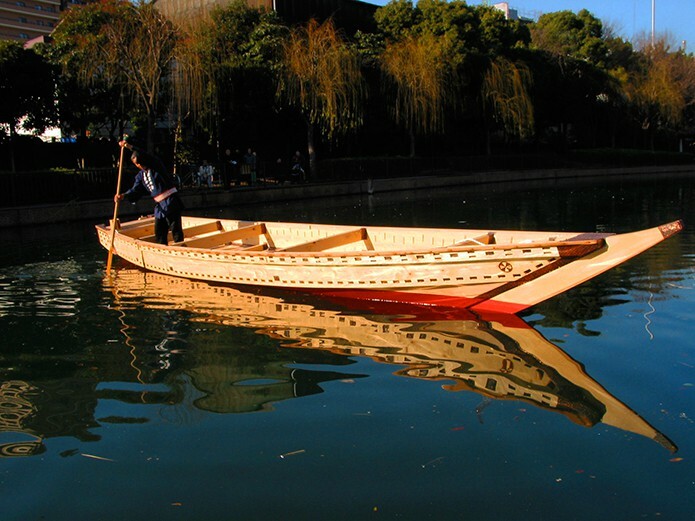 I was just in Japan building a boat for a famous garden in Takamatsu City. While there I met with an 85-year old boatbuilder, perhaps the last builder of the iconic cormorant fishing boat. I will be returning in May to study with him and document his work. I see more opportunities to build boats in Japan and I hope to continue teaching and writing. As mentioned before, if I could find the support of an institution I really think Japan is ripe for a boatbuilding school. An ukaibune, or cormorant fishing boat. 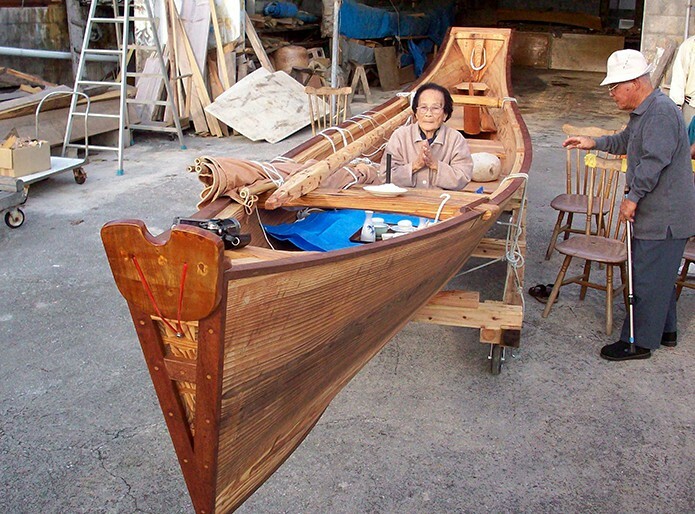 These unique boats are very rare and Mr. Seichi Nasu, age 85, is perhaps the last man who knows how to build them. Douglas Brooks will be apprenticing with Nasu and documenting his design and techniques beginning in May of 2017. Thanks to Douglas Brooks for taking time out of his busy schedule to answer our questions. All photographs by Douglas Brooks unless otherwise noted. 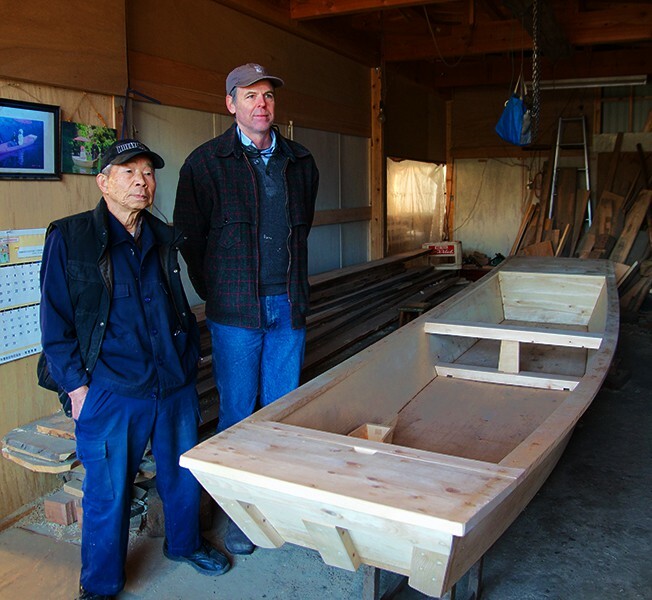 Be sure to follow Brooks’ upcoming work in Japan at his blog: http://blog.douglasbrooksboatbuilding.com/.